As the major driver of U.S. demographic change, Latinos are reshaping key aspects of the social, economic, political, and cultural landscape of the country. In the process, Latinos are challenging the longstanding black/white paradigm that has been used as a lens to understand racial and ethnic matters in the United States. 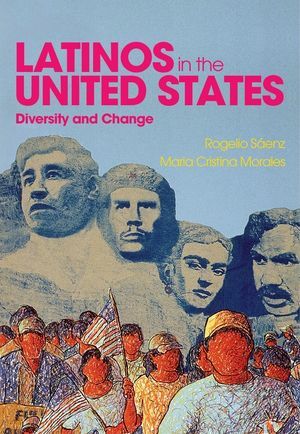 In this book, Sáenz and Morales provide one of the broadest sociological examinations of Latinos in the United States. The book focuses on the numerous diverse groups that constitute the Latino population and the role that the U.S. government has played in establishing immigration from Latin America to the United States. The book highlights the experiences of Latinos in a variety of domains including education, political engagement, work and economic life, family, religion, health and health care, crime and victimization, and mass media. To address these issues in each chapter the authors engage sociological perspectives, present data examining major trends for both native-born and immigrant populations, and engage readers in thinking about the major issues that Latinos are facing in each of these dimensions. The book clearly illustrates the diverse experiences of the array of Latino groups in the United States, with some of these groups succeeding socially and economically, while other groups continue to experience major social and economic challenges. The book concludes with a discussion of what the future holds for Latinos. This book is essential reading for undergraduate and graduate students, social scientists, and policymakers interested in Latinos and their place in contemporary society. "Looking for an up-to-date sociological portrait of Latinos in the United States? This is the book, providing a comprehensive overview of the contributions made by Latinos and the challenges they face in education, health, work, religion, politics, and other social institutions. Perfect for classroom adoption and for anyone who wants a synthesis of diverse theoretical approaches and recent data." "Finally we have a comprehensive, theoretically-oriented, data-driven book on Latinos. We now have a one-stop place to get all the information we need on the Latino population in the United States. I salute Sáenz and Morales for putting together this marvellous and extremely useful book."